The Calgary Flames and the new President of Hockey Operations Brian Burke have had a solid pre-season. Ken King has moved into a higher position, overseeing the business aspect of the Calgary Flames. This encompasses the WHL’s Calgary Hitmen, the NLL’s Calgary Roughnecks, the CFL’s Calgary Stampeders, and the new Saddledome — which reopened earlier this month after $100 million in renovations following the June flood. Burke’s role includes helping General Manager Jay Feaster in overseeing the day-to-day operations of the club. One can’t help but think that this sets up the eventual canning of Feaster, and Burke’s subsequent hire as the GM of the Flames, but let’s not put the cart before the horse. In terms of the Flames filling a hole in upper management, this is a move a lot of people saw coming, regardless of the person filling it. So the Flames are trying Plan B. 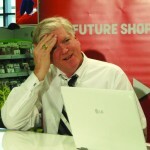 As in double-B, Brian Burke, the most unkempt man in hockey upper management. Formerly a scout with the Anaheim Ducks, it’s no secret that Burke wanted another kick at the can after doing all he could to pick the Toronto Maple Leafs up off the carpet for the better part of five seasons. That was until he was unceremoniously kicked to the curb moments after the lockout ended. The Leafs went on to play in the playoffs for the first time since the ice age. Was Burke to thank for that? Maybe. Or was his presence as a brooding cynical prick weighing so heavily on the team that when he left, the whole organization loosened up like his tie? Possibly. Burke’s history suggests that he, at least partially, knows what he is doing when it comes to forming a winning hockey team. Partially being the key word. Yes, he won the cup with the Ducks in 2007. However, many will say that former Ducks GM and current Senators GM Bryan Murray set the table for Burke’s success prior to leaving after the 2004 season. Prior to that, Burke probably pulled off his best move as a hockey executive in drafting both Daniel and Henrik Sedin. This move formed the core of the Canucks for the next decade that has been highly competitive and fell one win short of the 2011 Stanley Cup. In Toronto, however, he made one controversial move that has plagued him ever since trading two first round picks and a second round pick for Phil Kessel. Kessel has played quite well these past couple seasons for the Leafs, putting up more than a point per game average over that time frame. However, Boston was able to select Tyler Seguin second overall and Dougie Hamilton a year later. Seguin fell out of favour with the Bruins, being the number three centre behind David Krejci and Patrice Bergeron, but will, by my estimation, blossom in Dallas as their top centreman. With Seguin and Hamilton, the Leafs would have better off in the long run and more stable at both ends of the ice. I’m not thrilled with this news as I’ve never really been a fan of Burke’s work. Maybe that’s because I’m a fan of the Flames and he’s been on the opposing side of things for far too long. He was able to dupe Darryl Sutter into giving him Dion Phaneuf for a bag of pucks, when Dion was clearly worth at least two, or maybe even three, bags of pucks. At any rate, with Burke a member of the Calgary Flames, the Calgary media is in for a real treat. 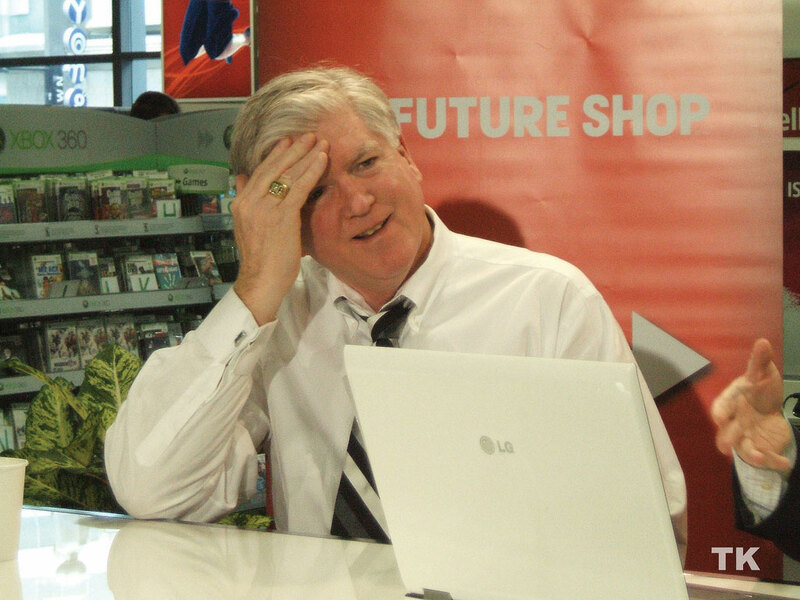 And just when the years of Sutter were nearly forgotten… here comes the loose tie and beet red face of Brian Burke.